Here's a fun and healthy way of celebrating Halloween. Join the first ever Halloween Party at Pioneer St. Market. 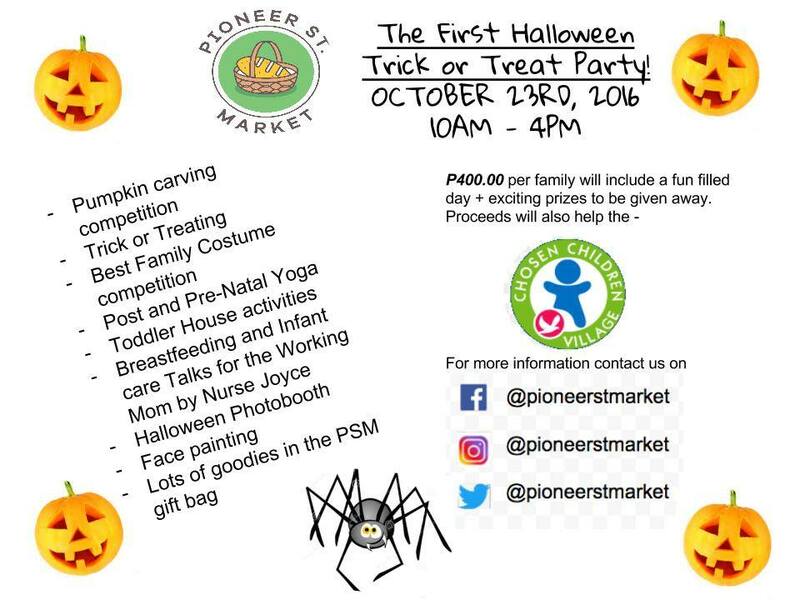 For a minimal fee of P400 per family, enjoy a whole day of exciting activities such as Pumpkin Carving, Toddler house classes, Prenatal and Postnatal Exercise Classes, Breastfeeding Class and other Creative Activites. Goodie bags also awaits attendees. 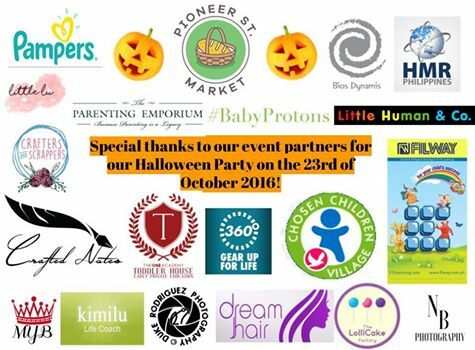 Make sure to dress your kids into their most creepy, most amazing costume and be one awarded as one of the Best Halloween costumes.